Where traditional Mexico comes alive with all the home comforts. This tasteful sun drenched resort provides world-class service within a beachfront setting that merges modern comforts with Mexican tradition. 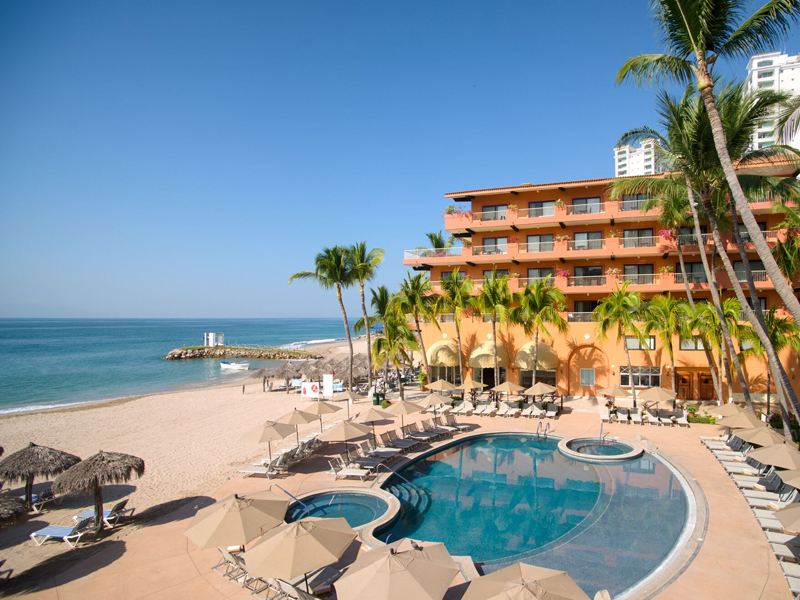 In the heart of Puerto Vallarta’s hotel zone, Villa del Palmar Vallarta, is only a few minutes from the excitement and charm of the downtown area and famed seafront boardwalk, the Malecón, making this resort very conveniently located. Air-conditioned timeshare accommodations are decorated in fresh tones and a modern style, and all include private balconies or terraces with many overlooking the breathtaking Pacific ocean. Both inside and out, everything about this beach complex is attractively designed and well furnished. And if guests don’t get enough relaxation by the pools or lounging on the beach, the Bay Breeze Spa will ensure total tranquility. Add to add this, warm and friendly staff to attend to every last detail, and you can be sure you will never want to leave.